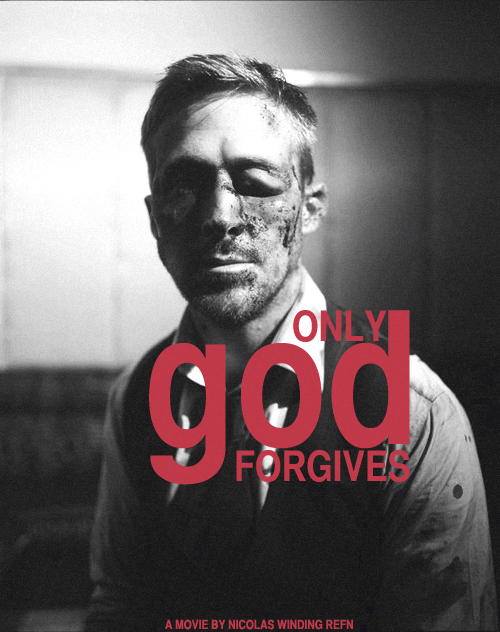 We can't exactly say "looking good, Ryan" this time because he clearly had a rough time in this new poster for "Only God Forgives". Things weren’t looking pretty for Ryan Gosling in our initial batch of behind-the-scenes stills for Only God Forgives, but now it’s only gotten worse for our star. In his re-team with Drive director Nicolas Winding Refn, below one can see a new look at a battered Gosling, with seemingly only one eye intact. The image below, sent in by a reader, is presumably out of the American Film Market. We also recently got word that the film is set to be finished by December for a 2013 release, but a concrete date still has yet to be confirmed for the Bangkok-set thriller also starring Kristen Scott Thomas.